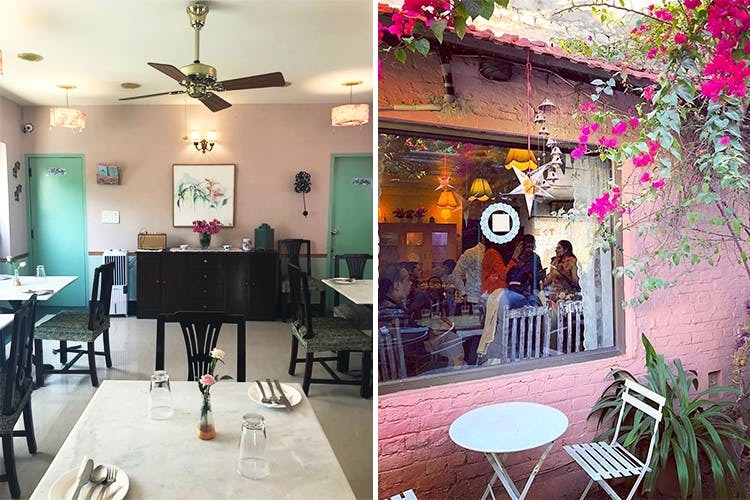 If you haven’t been to Rose Cafe in Saidulajab, you’ve probably seen it on your friends’ Instagram feed at some point. Which is why, when we heard about a new Rose opening up, we decided to get right on it. So, turns out, the latest addition (it opened today) is right in their backyard, but has a slightly different vibe and menu. You know the outdoor area? It’s got a tiny window that leads to the new space they’ve added. Don’t worry – you’ll still get your usual gelatos, desserts, pasta and salads, with the same home-made quality about them – but we’re stoked to see a few exciting new entrants. They’re now doing risotto, German sausages, sharing platters, appetisers and a full vegan menu that are all making us super happy. A new spin on their skinny pizzas is the white pizza (that comes slathered with Bechamel sauce instead of the usual tomato) along with their shepherd’s pie. If all goes well, and this new baby gets as much love and attention as its older cousin, the good peeps might extend its timings as well. We don’t know about you, but the thought of not being able to go to Rose after office hours was a huge downer for us, and now we’re getting a reason to make post-work plans. Plus – this space is what they are calling the lazier version, so meet us in your PJs sometime?